As South Africa transitioned from apartheid to democracy, changes in the political landscape, as well as educational agendas and discourse on both a national and international level, shaped successive waves of curriculum reform over a relatively short period of time. 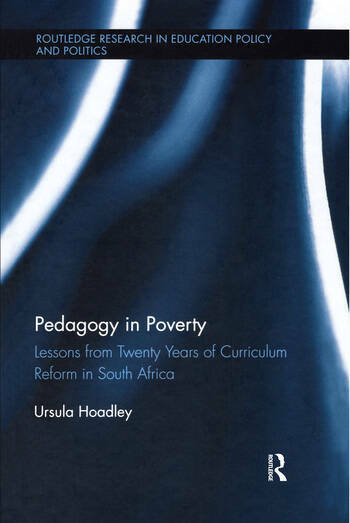 Using South Africa as a germane example of how curriculum and pedagogy can interact and affect educational outcomes, Pedagogy in Poverty explores the potential of curricula to improve education in developing and emerging economies worldwide, and, ultimately, to reduce inequality. Incorporating detailed, empirical accounts of life inside South African classrooms, this book is a much-needed contribution to international debate surrounding optimal curriculum and pedagogic forms for children in poor schools. Classroom-level responses to curriculum policy reforms reveal some implications of the shifts between a radical, progressive approach and traditional curriculum forms. Hoadley focuses on the crucial role of teachers as mediators between curriculum and pedagogy, and explores key issues related to teacher knowledge by examining the teaching of reading and numeracy at the foundational levels of schooling. Offering a data-rich historical sociology of curriculum and pedagogic change, this book will appeal to academics, researchers and postgraduate students in the fields of education, sociology of education, curriculum studies, educational equality and school reform, and the policy and politics of education. 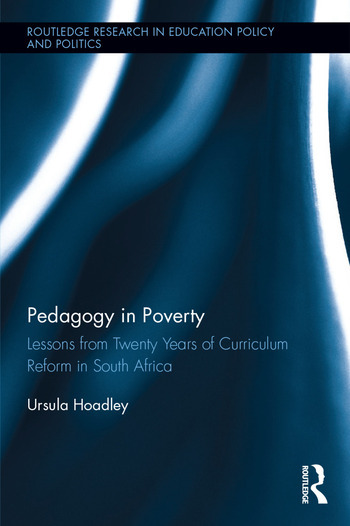 Ursula Hoadley is Associate Professor in the School of Education at the University of Cape Town in South Africa. She has a particular interest in curriculum, teachers’ work and the sociological study of pedagogy.